Whether starting with a blank slate or with very specific requirements, the same level of starting detail is required. Below we've outlined a few key factors that influence new packaging design. 1. Board Type: SBS, CCNB and SUS are the most common board types. Print quality, aesthetic requirements, product type and budget will drive board selection. 2. Product Weight: Weight and size of the packaged product will dictate the board thickness as it must be sufficient to protect and support the product. 3. Carton Size: The goal? Secure the product and maximize copy space yet sitll meet the planogram requirements. Available shelf space and desired number of facings will restrict overall size. 4. Presentation: Will it hang, will it stand and must it stack? The display method may require specific design features. 5. Closure Method: Auto-bottom, tuck-top, tri-seal/seal-end are all possible closure methods however packaging and assembly equipment will dictate which option is best for your project. 6. Plain white samples ar printed prototypes required? Sample review and approval before start of production is critical to ensure the packaging meets expectations for fit, design and performance. With our team of creative structural and packaging designers, Norka can support your packaging development needs. We offer recommendations of board type, thickness, structure and design to optimize functionality while minimizing cost. 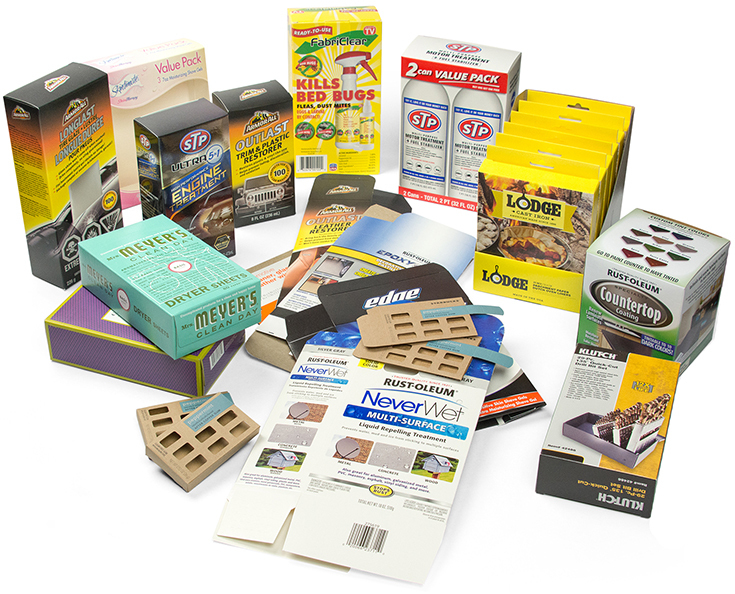 Contact one of our packaging consultants today to discuss your next project.